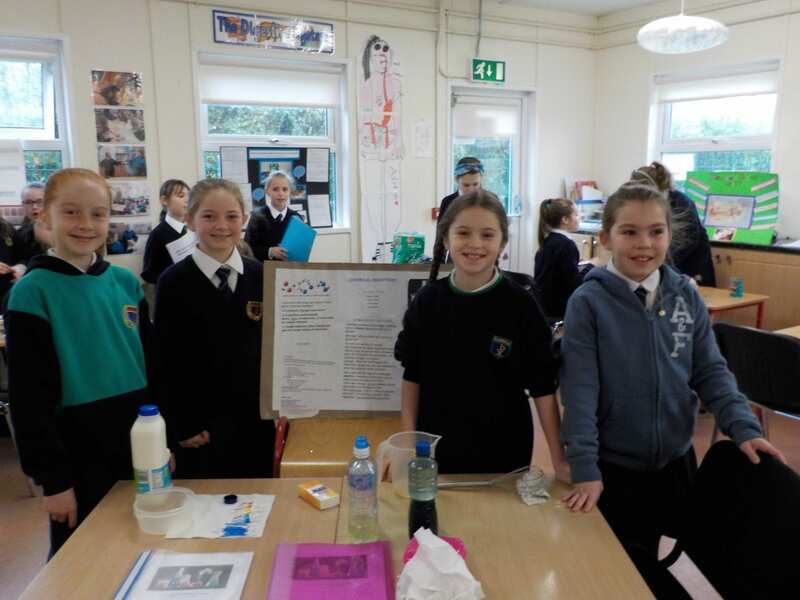 The 11th November 2016 was an exciting day during Science Week in St. Pius X, G.N.S. 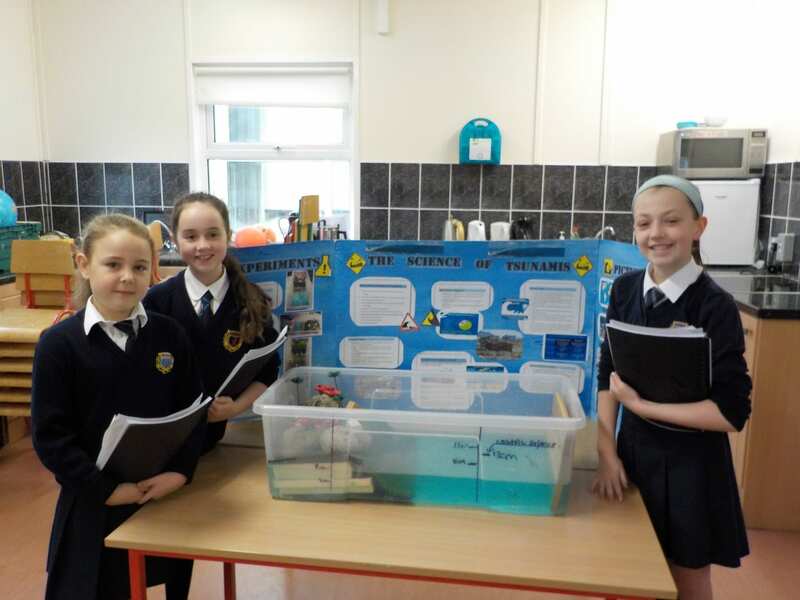 as the two 5th classes set up for the Intel Mini Scientist competition. 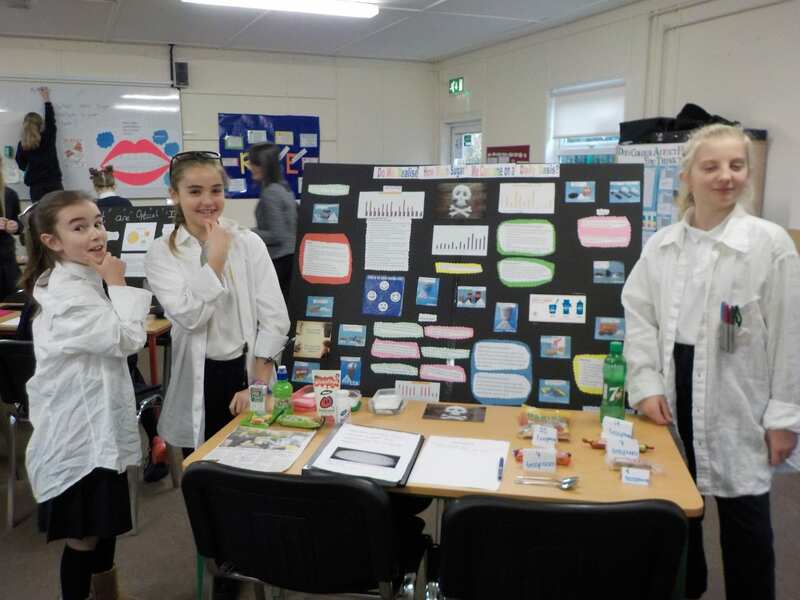 For the past few months, the girls have been investigating a particular scientific question and after much research, exploration and experimentation, they have come up with conclusions with which they were enthusiastic and eager to share with their visitors and the Intel judges. 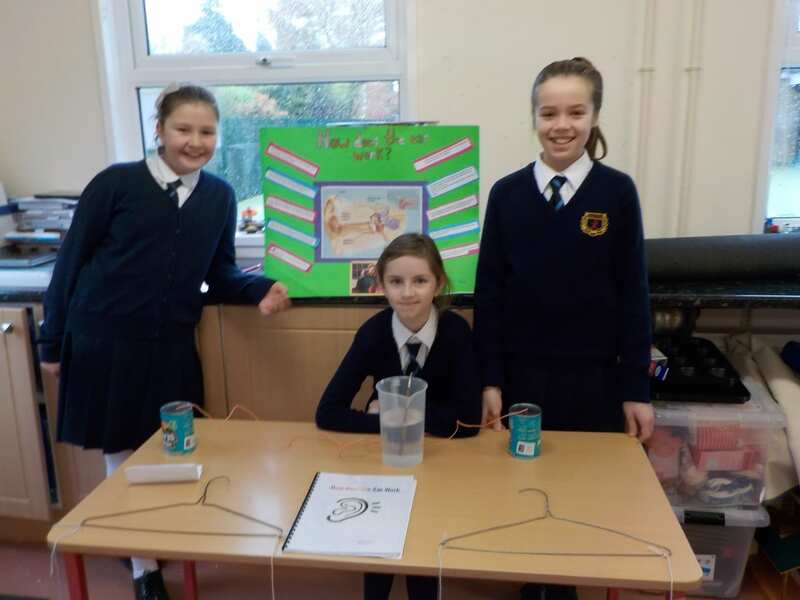 The tension was palpable as the girls awaited the arrival of the judges. 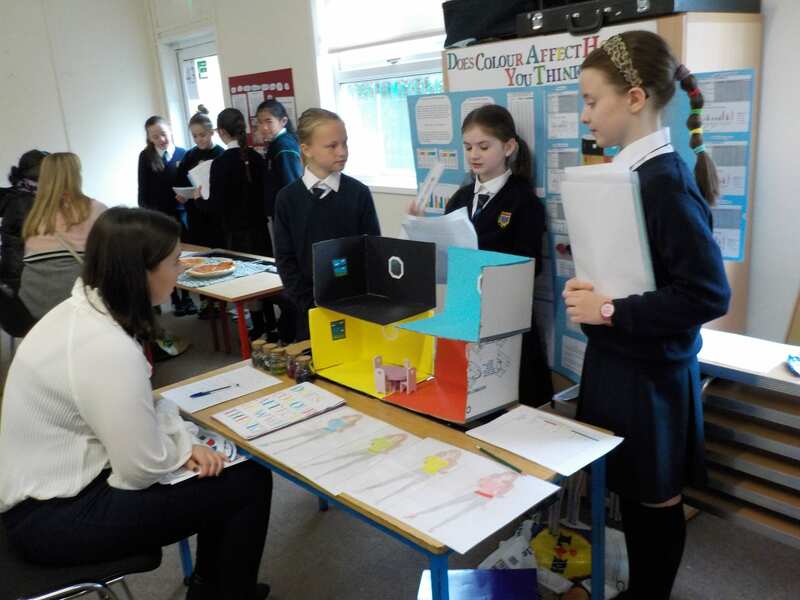 Áine and Amy from Intel arrived and started the unenviable task of deciding which group would go forward to the next level of the competition. 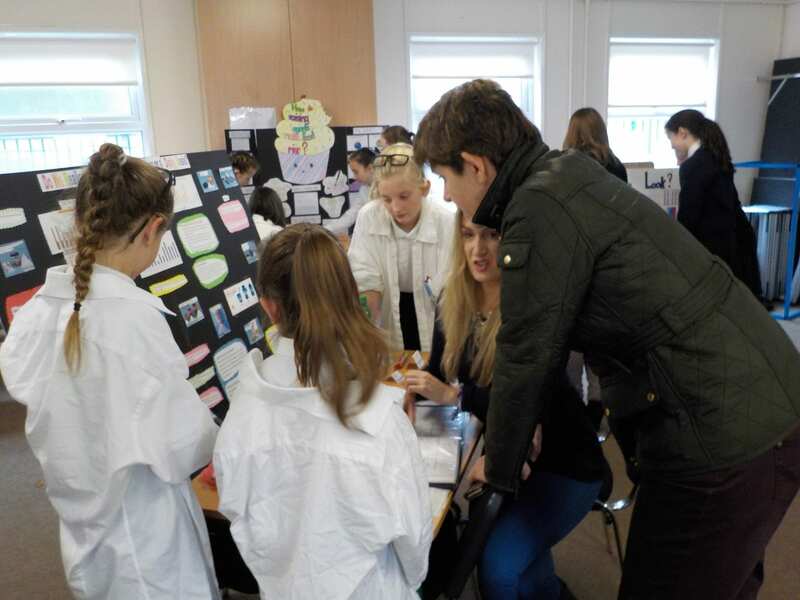 Parents and grandparents enjoyed viewing the projects and listening to the girls explain the science behind their individual projects. 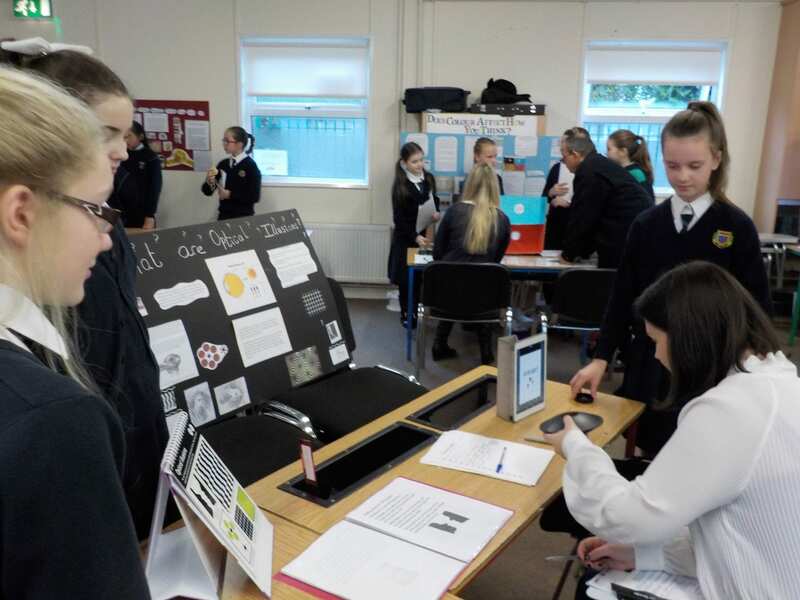 After spending time at each one and examining the girls on their work, Áine and Amy retired to deliberate on their findings to make the final decision! 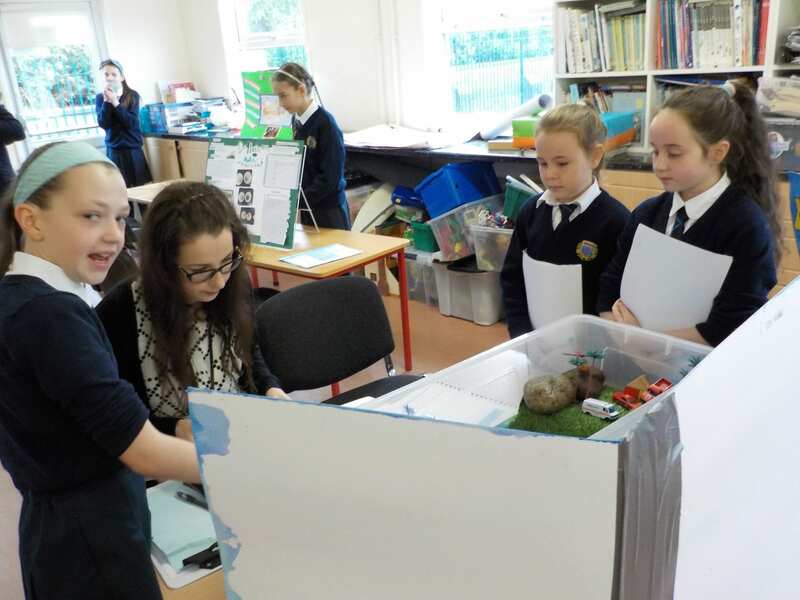 There was a buzz of excitement as they returned to the GP room to announce the results. 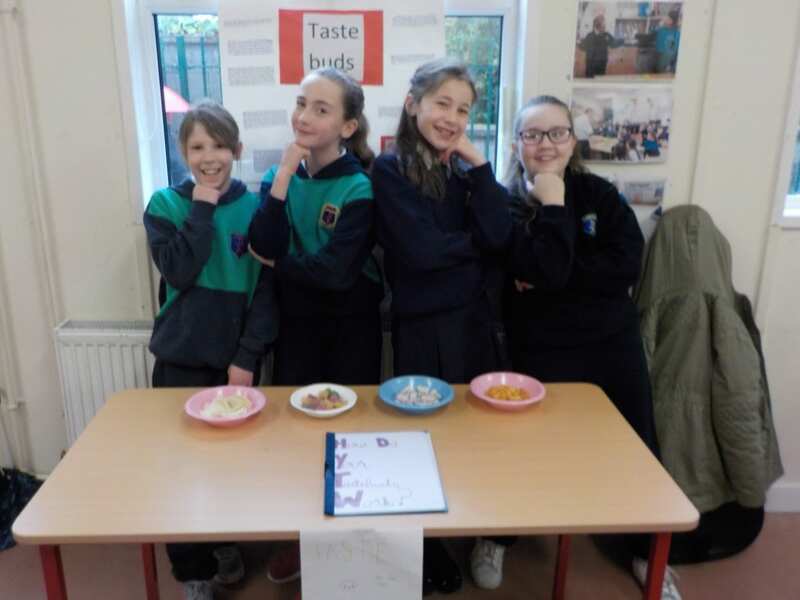 Both judges were impressed with the incredibly high standard and found it extremely difficult to make the final judgement. 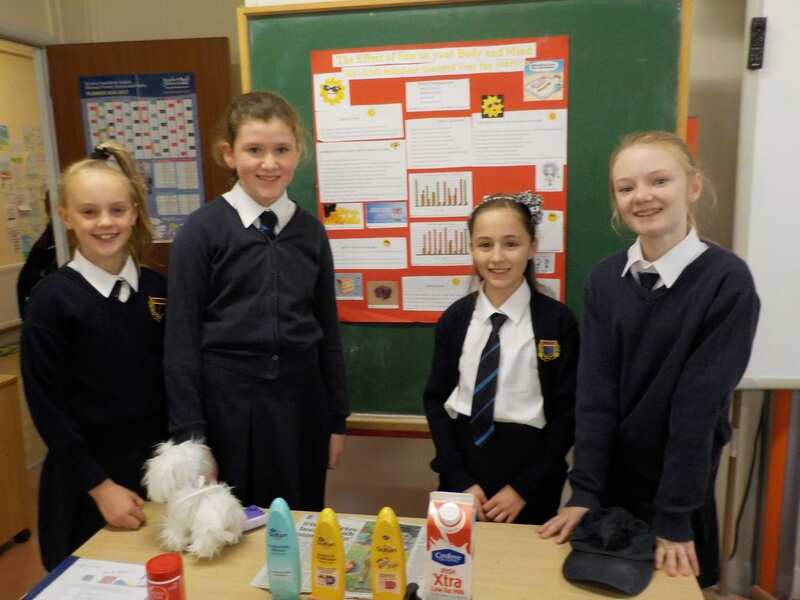 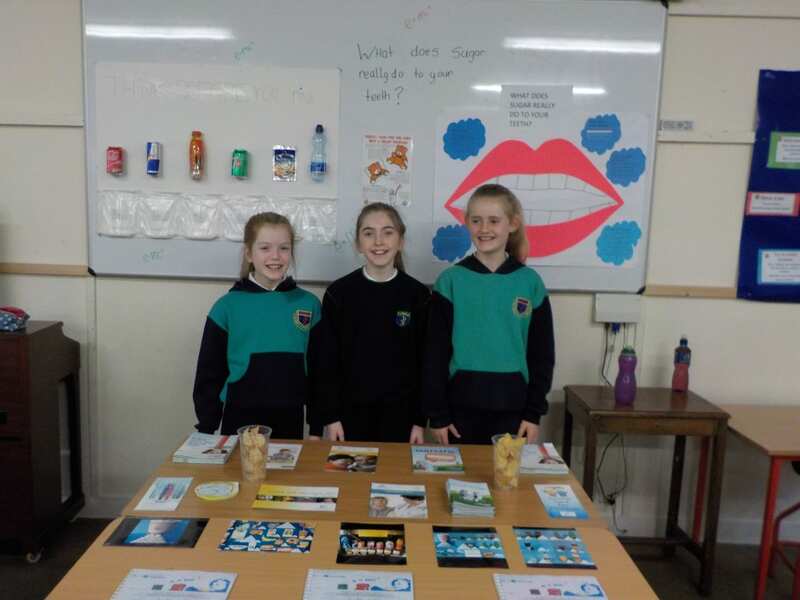 The runners-up were Holly Curran, Libby O`Brien, Emma Meagher and Niamh Coffey with their project “What are chemical reactions?”. 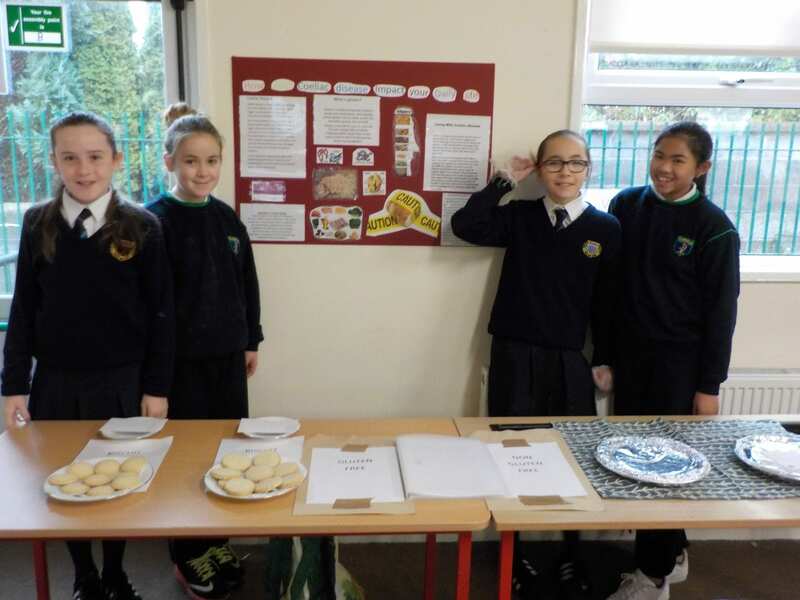 The overall winning project was “How do raising agents make food rise”, by Annabel Fleming, Katie Coyne and Megan Clancy. 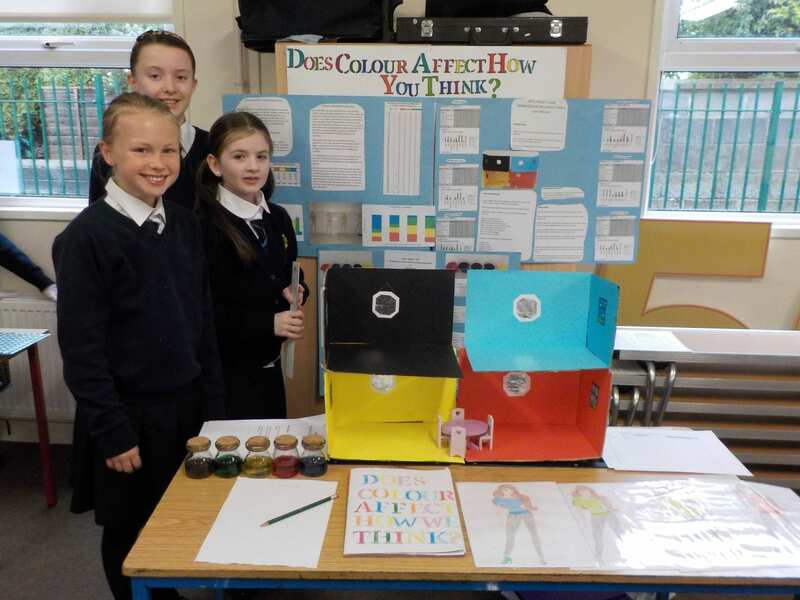 They will go on to a further competition in Intel in December. 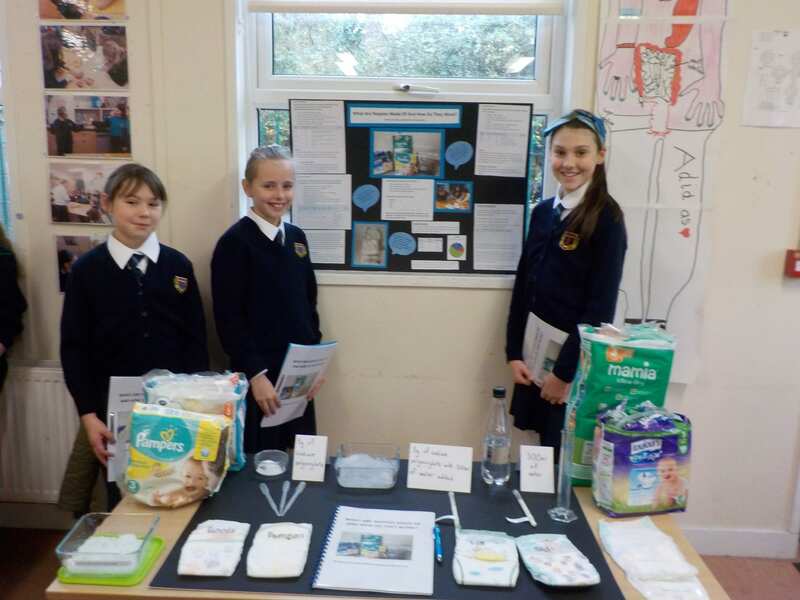 Two other projects also received a commendation, “What are nappies made from and how do they work?” by Sophie Pemberton, Rebecca McCloskey and Keira Harrison and “Can rooftop gardens heat and insulate your home?” by Ella Keating. 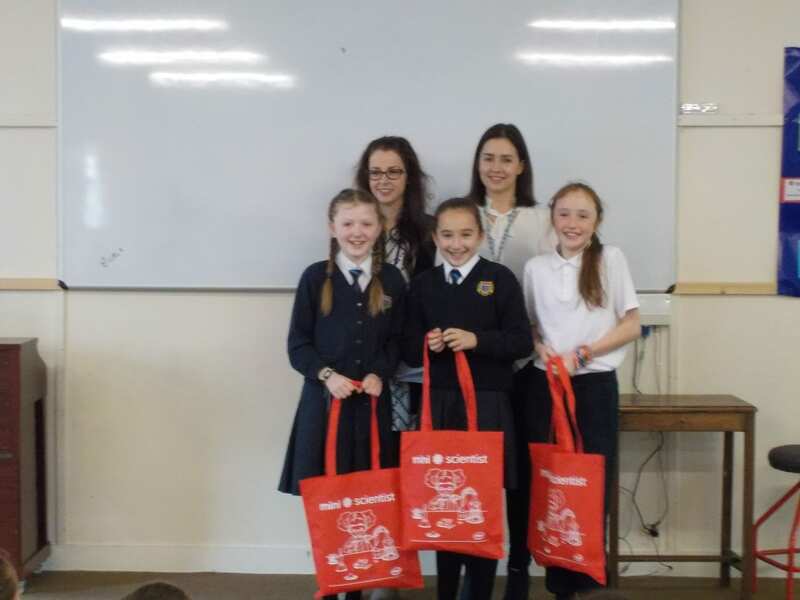 The school was presented with a plaque and each child who participated received a goody bag and a certificate. 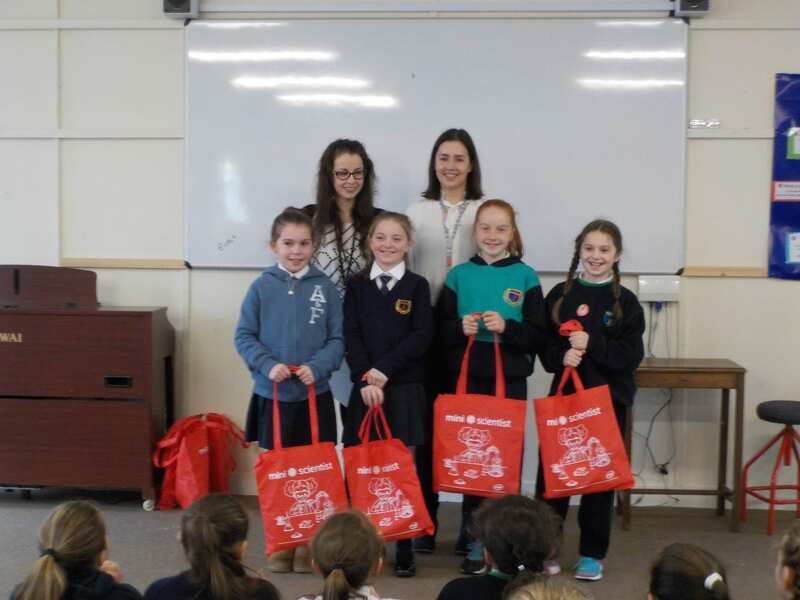 Congratulations and well done to all the girls! 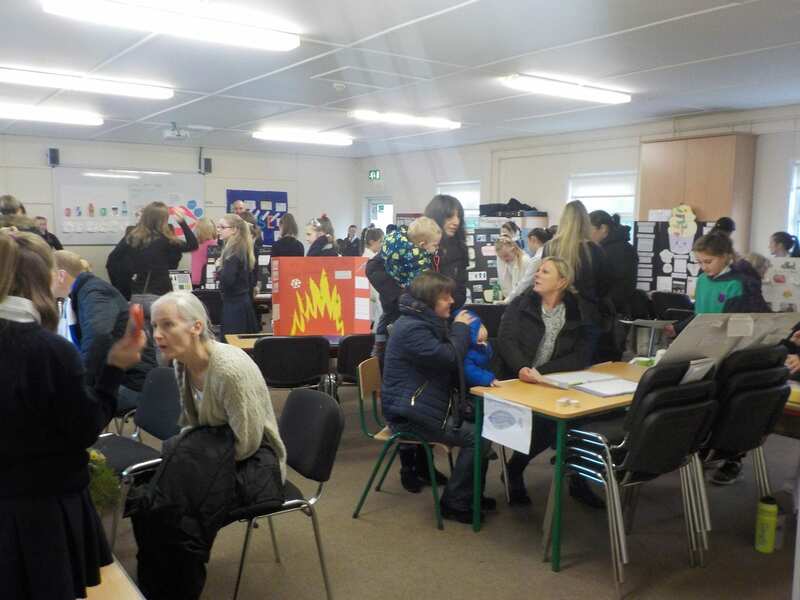 A huge thank you to all the parents for their help and support over the last few months.